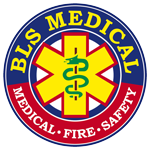 Over the past year or so BLS Medical has been requested to facilitate with Occupational Health and Safety Training as our clients wished to use one service provider for all their OHS training. BLS Medical then investigated these requests and with Knowledge Experts developed our own in-house courses. These course cover all that is required by the Occupational Health and Safety Act (OSHAct 85 of 1993). We are also in the process of gaining HWSETA SHE Programme accreditation for the courses.